DMLS improves heat sink performance. CNC Machined and chrome plated exhibition models. CNC machining excells giving a high quality cosmetic finish. Stereolithography in ClearVue for outstanding optically clear production part. Stereolithography (SLA) produces high cosmetic model prototype for exhibition. Vacuum cast polyurethane gives outstanding cosmetic finish. 3D Printing in nylon is low volume manufacturing solution for fastener. The Adept Mouldshop - what are we injection moulding now?! Happy New Year from Plunkett Associates! The magic of Christmas… We’re engineers, so come on, how does it really happen? Spectacular Bridges and Engineering Genius! Did you know the average human attention span is now shorter than a goldfish’s? Inviting you to the Engineering Design Show! Who needs 3D Printing when you can use LEGO?! We'll be there - will you? Why Outsource New Product Development? Airless, puncture proof bicycle tyres – 3d Printed of course! 3D Printed Spectators at this year's Winter Olympic Games! 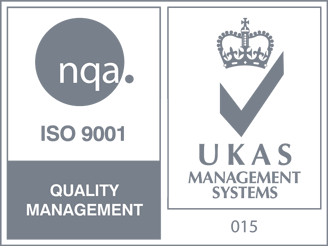 Plunkett Associates Quality System is now ISO 9001:2015 Certified! A New Year and there's exciting things afoot for Plunkett Associates! Did you know Europe finally has it's first 3D printed building? Aldi has become the first UK supermarket to sell 3D printers! A Day in the LIfe of Plunkett's! Our 'How Hard Swatches' are proving very popular! TCT was an exciting place to be! We're exhibiting at The Engineer Design & Innovation Show! Come and visit! How hard is soft? Plunkett's offer a new service! There's a new metal 3D Printing process called Direct Metal Writing! 3D Printing a house...and it took less than a day! See us in the newdesign 2017 Year Book! Did you know we have a new local CNC machinist who specialises in aluminium? 3D Printed liquid metal car! Strengthening our capabilities - Plunkett's now offer PVC mouldings! Extending our services with new local supplier of high quality tooling, turning and milling! Looking ahead at 2017...dates for the diary. 3D Printed art replaces the Christmas tree at the Aqua Shard in London - and it looks amazing! We had a great time at TCT! 3D printed diamonds? Lockheed Martin think they can! For the ultimate 3D printing experience, how about a nine course 3D printed dining extravaganza?! Is there such thing as a safe explosive? 3D Printing thinks it may have the answer. Plunkett Associates Quality System is now ISO 9001:2008 certified! The Jetpack - 3D printing has made the dream a reality! It's snowing 3D printed snowflakes! Olivewood wins 2015 Energy Efficient Product of the Year! SolidWorks, 3D CAD software, launches it's latest and best. The World's first 3D printed bridge is happening! Wow! Microfish robots swimming around your body? Enough of the hype - Gartner reveals the latest predictions for 3D printing. We're getting ready - it's nearly our 10th Anniversary! Is it really possible to 3D print a bridge? Sharing views with Jonathan Ive. Guy Holdaway is the latest to join the Punkett Associates team! Design for Manufacture - how easy is this to do in today's workplace? Is this the next disruptive technology? 3D Printing - Beyond the Hype? Plunkett Associates gives Airdri's exhibition stand the WOW factor. It’s official, Julian is certified! Introducing Julian Wooster - a new and very in-tune string to our bow!